The holidays will soon be upon us. American Thanksgiving falls on Thursday and December is just around the corner and might see some of us celebrating either Hanukkah or Christmas. Also, the shortest day of the year shows up on Friday, December 21st. If you’ve got a different celebration or holiday going on, please let me know. I’d love to hear about it. I think I’m going to pick going to a yoga class as my new tradition! Of course, of the regular things still need doing and I’ll be working on another light round of edits for GONE, Aspen Lake Series Book 3. I’m so excited to be getting closer to a release date. I’m finishing up a book proposal that I’ve been hard at work putting together. But there’s still plenty of time leftover for fun. Especially here on my blog where I’ll be giving away a gift pack each Tuesday starting next week until December 18th. That’s four weeks of giveaways. Also, don’t forget about my current giveaway (a $25 Amazon GC) here! I want to know what it is you like to do in December. 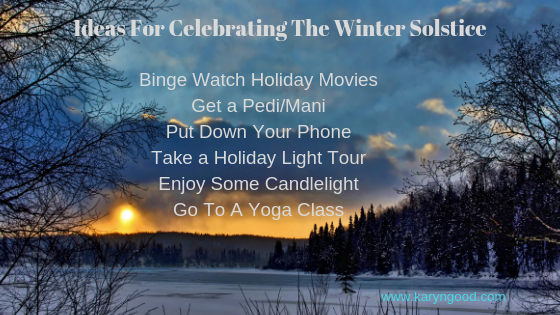 A favourite tradition, activity, or special outing that might be religious based, winter based, self-care based, or maybe has no significance whatsoever except you just like to do it in December. 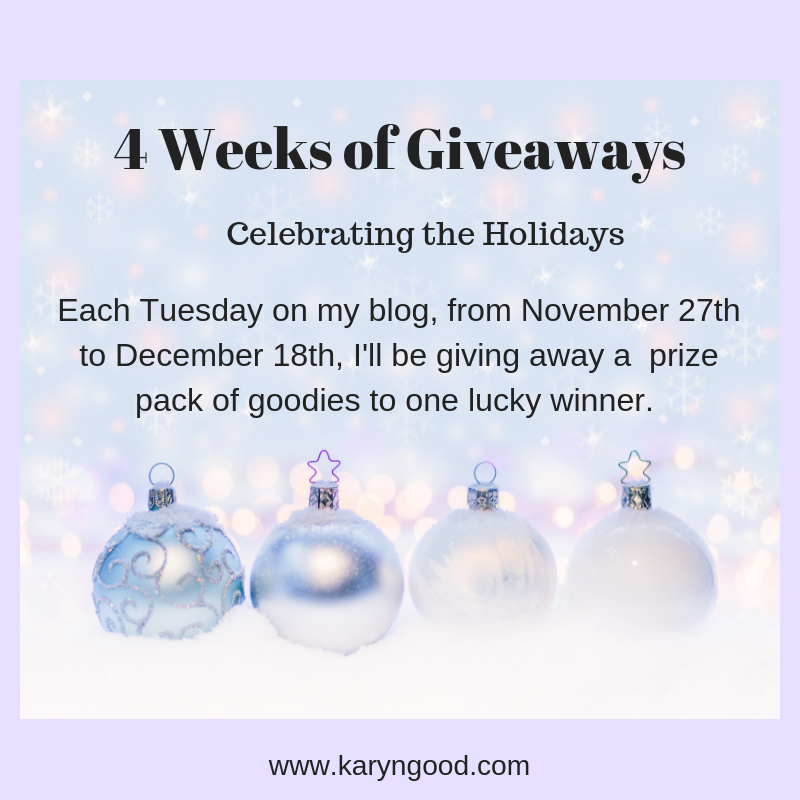 This entry was posted in Giveaway and tagged Giveaway, Karyn Good, Romantic Suspense Author, Winter Solstice by Karyn Good. Bookmark the permalink.